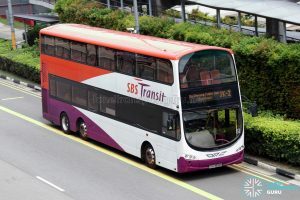 On-Demand Public Bus (ODPB) services in the Joo Koon area are being offered between 17 December 2018 and 14 June 2019, during off-peak hours on weekdays (except public holidays). 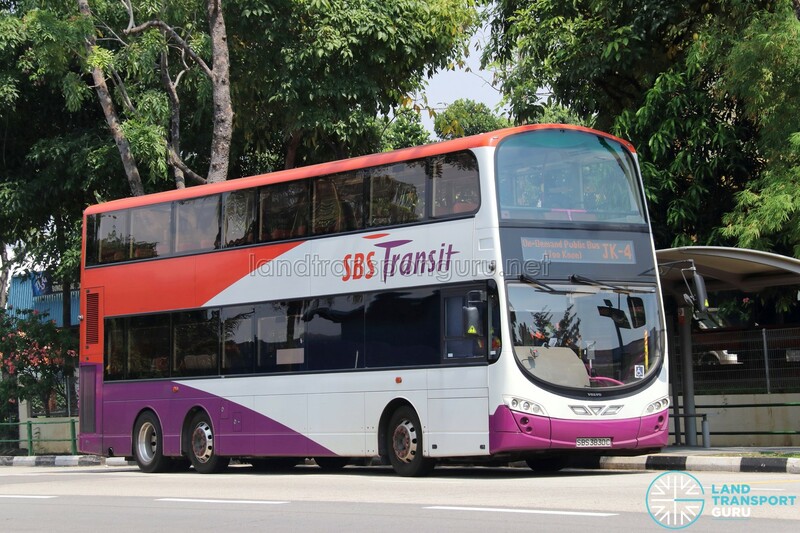 Buses will operate with the service number JK-x, where x is a single or two-digit number. 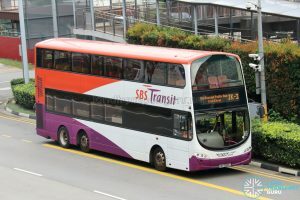 Service numbers spotted are from JK-1 to JK-13. 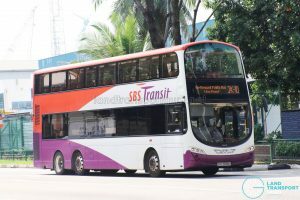 The trial for the Joo Koon area covers Joo Koon MRT Station / Bus Interchange and the Benoi Sector, Gul Circle, Benoi Road & Pioneer Sector areas, serving bus stops presently served by Bus Services 253, 255 and 257. 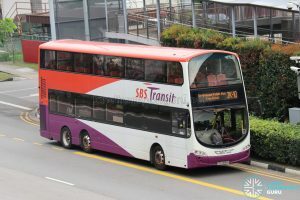 This bus service is reflected as Service 340 on the Bus Ticketing System. Fare Flat fare equivalent to journeys under 3.2km. Distance-based fare rules and concession rates apply. 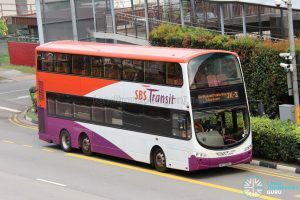 As part of the On-Demand Public Bus trial, Service JK-x serves the Jurong Industrial area near Joo Koon, Benoi, Gul and Pioneer Sector as well as Joo Koon Bus Interchange during the weekday off-peak hours, namely 1100hrs – 1500hrs & 2030hrs – 2330hrs. 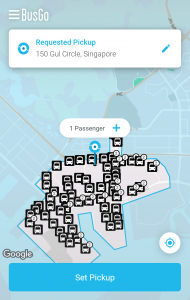 Buses dispatched follow a flexible route, depending on demand, as directed by the BusGo mobile application developed by Via Transportation. 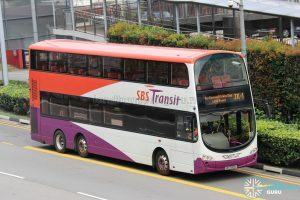 Bus Stops served by the On-Demand Public Bus Service for the Joo Koon area are also served by SBS Transit Bus Services 253, 255 or 257. 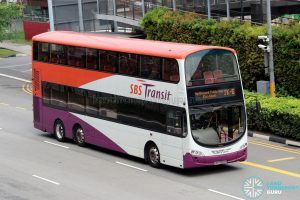 As such, these regular bus services will operate at a reduced frequency of 30 minutes during ODPB trial hours. 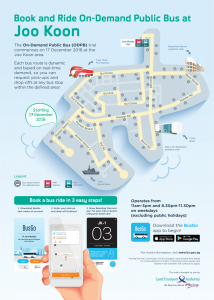 Commuters who wish to book a trip on the on-demand bus must first download the BusGo app from the Google Play Store or Apple App Store. 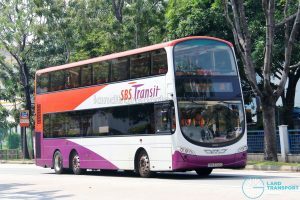 With a successful booking, the Bus Registration Number, Unique Bus Service Number (JK-1, JK-2, JK-3, and so on to JK-13) and Boarding Code will be relayed to the commuter via the app. 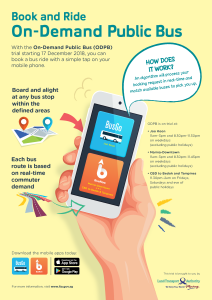 Upon boarding, commuters are required to flash their unique boarding number to the Bus Captain through the BusGo app. 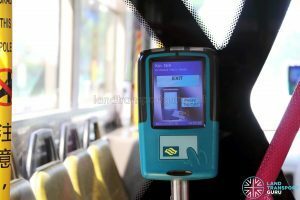 They will then need to pay their fare (via contactless card or cash) no differently from other bus services. 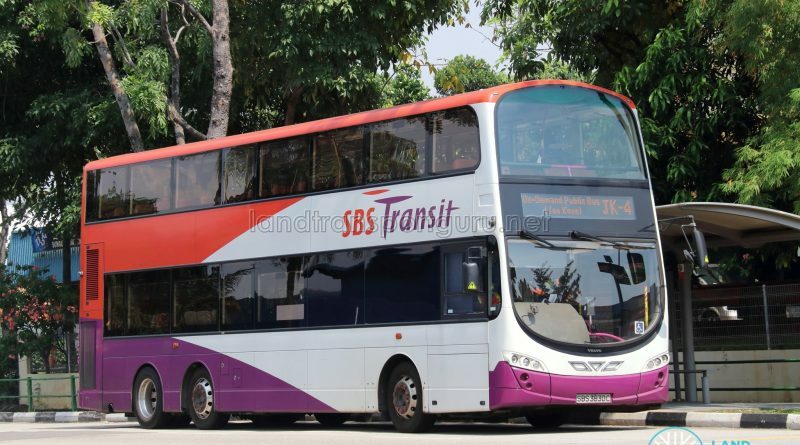 Additional commuters not accounted for in the booking may be denied boarding by the Bus Captain. 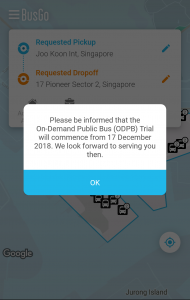 Commuters may be banned from the On-Demand Public Bus trial for 48 hours if he or she cancels or does not show up for a confirmed booking, for up to 3 times within 24 hours. 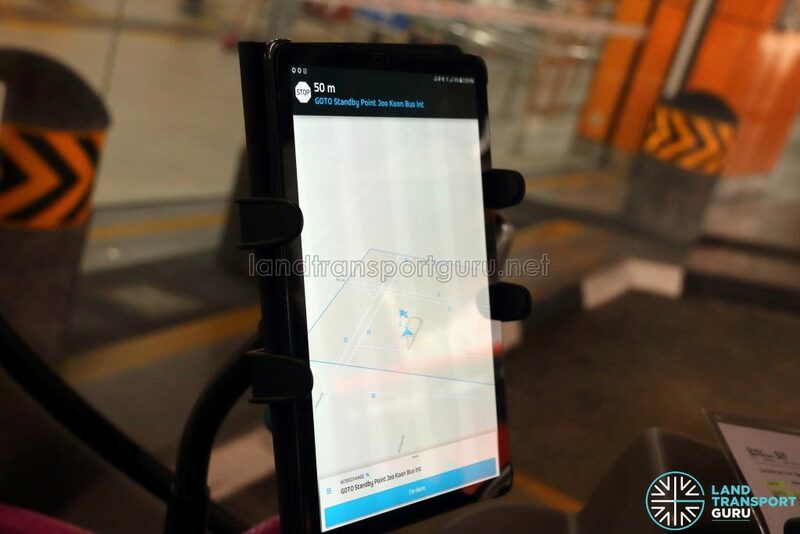 The duration of the ban is at the discretion of the Land Transport Authority (LTA). 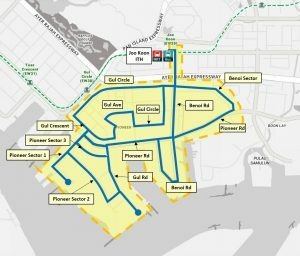 The following bus stops may be used as a boarding or alighting point for the On-Demand Public Bus (Joo Koon Area) service. 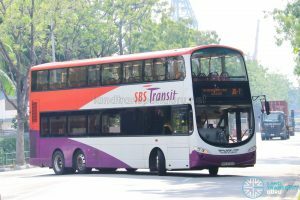 All other stops listed at Joo Koon Bus Interchange & its vicinity above. 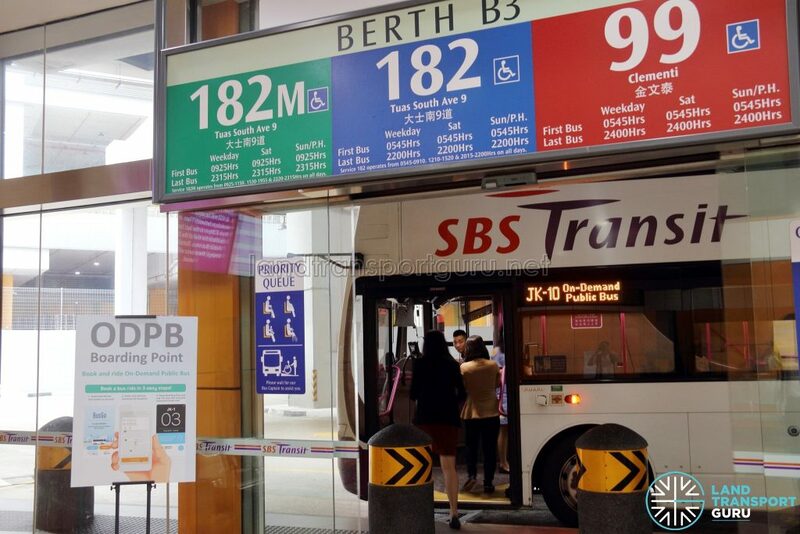 During the ODPB Trial, a promotional flat distance fare for 3.2km regardless of distance travelled applies for all passengers. Distance-fare transfer rules apply and concessionary fare travel is allowed. 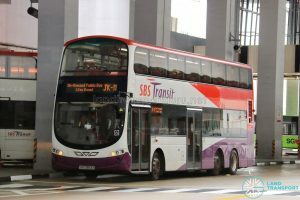 The On-Demand Public Bus (Joo Koon Area) trial uses Volvo B9TL buses only. 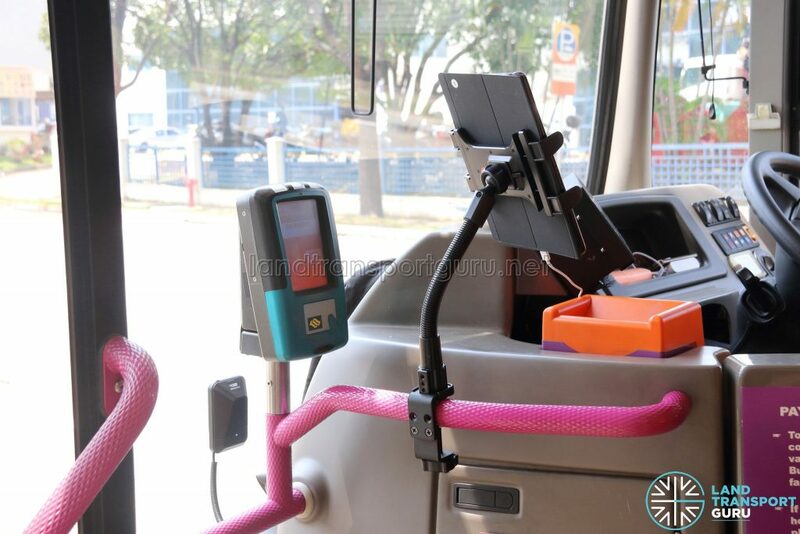 Each ODPB bus is fitted with a charging cable (in white) to charge the iPad tablet device on the go. A power bank (mounted just under the turquoise NOBE unit) is used as a backup power supply. 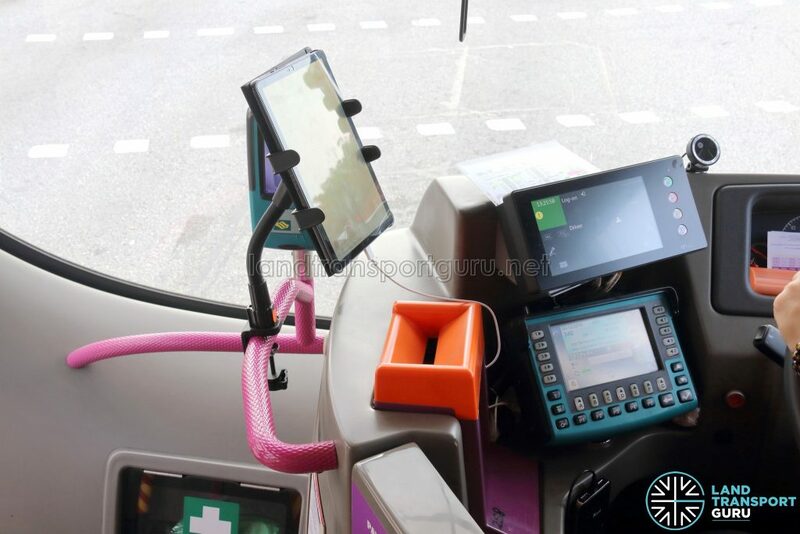 The iPad, which runs the BusGo driver app, provides Bus Captains with travel directions and bus stop locations. 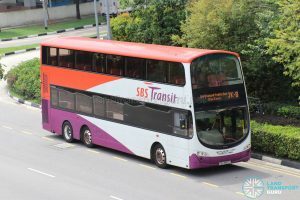 This bus service is part of the On-Demand Public Bus Service trial.